We have updated our current stock list of Arcade Control Panels including Sega Versus City, Naomi, Astro City, Namco Noir and Taito Vewlix control panels. Choose from brand new control panels, or used panels for restoring your machines. Brand new control panels including single and dual player Vewlix panels, Namco Noir panels and Versus city panels. We will not be stocking these panels once sold out, please consider before they are sold out. Goods are available from our Newcastle, Australia warehouse. 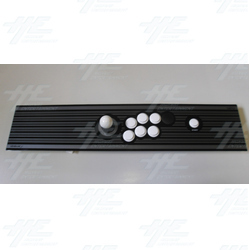 For current stock, please view arcade machine panel list.